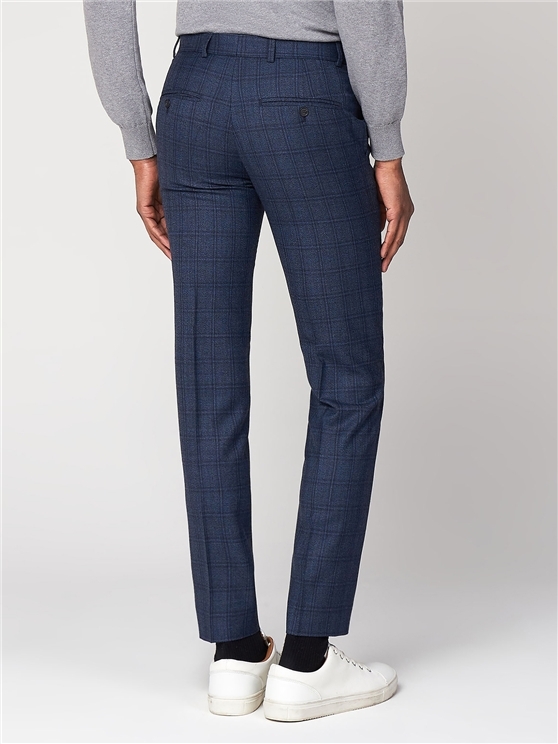 Ben Sherman men's trousers are cut slimmer than usual. 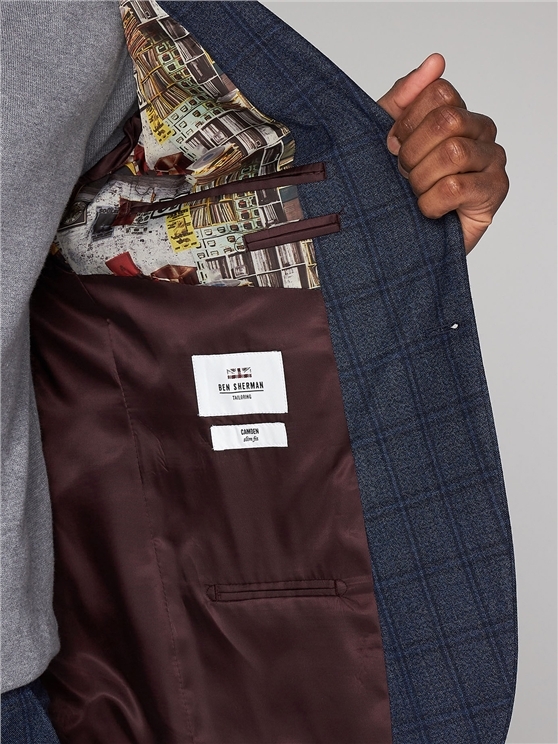 We recommend sizing up for the perfect fit. 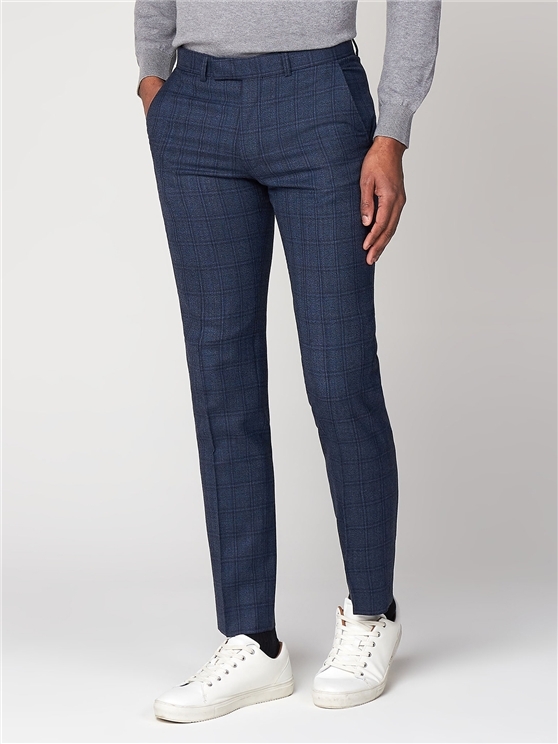 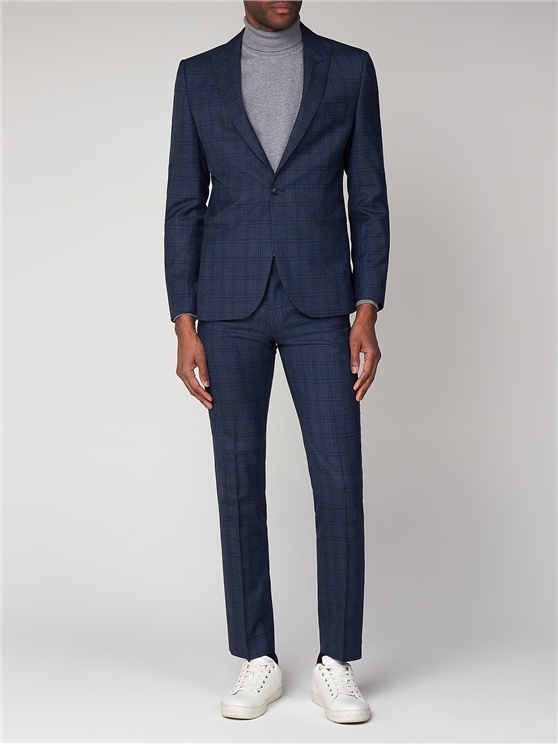 This premium men’s checked two piece skinny fit suit from Ben Sherman tailoring boasts a smart, airforce blue checked men’s suit jacket and trousers made of wool rich, durable fabric. 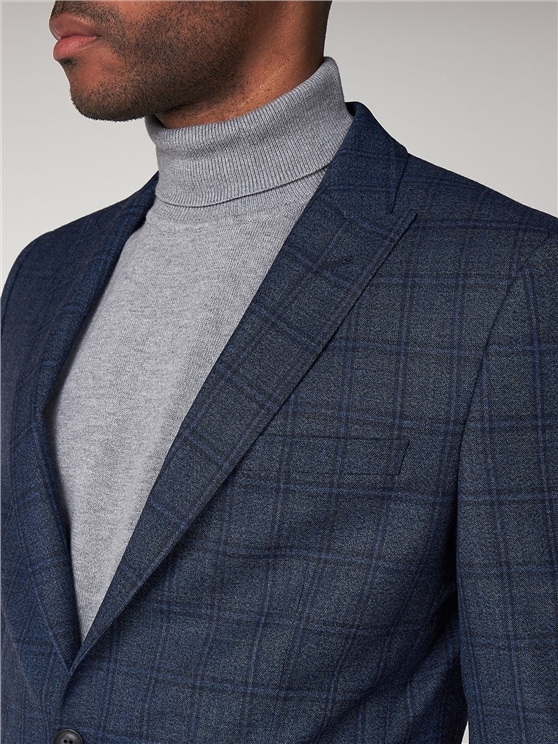 This men’s Blue checkered men’s suit creates mod fashion impression for any man’s wardrobe which is ideal for any occasion. 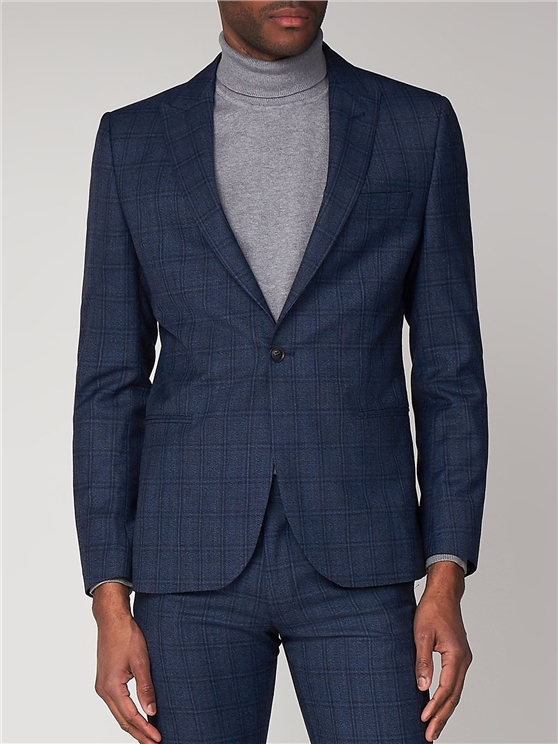 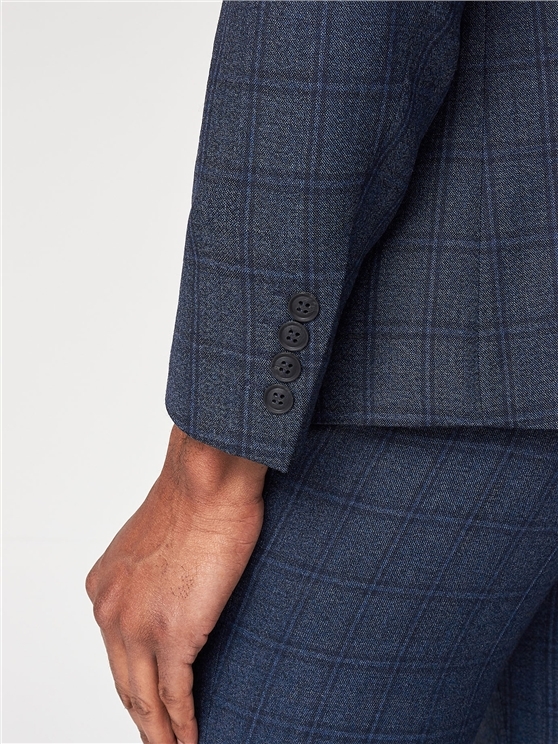 Influenced by decades of Ben Sherman heritage, this blue plaid men’s suit boasts a skinny fit suit jacket with four button cuffs, vintage style peak lapels and plenty of pockets – ideal for the trendsetting individual to seek a truly traditional, trendy statement for any occasion, with a true vintage feel for him.